Most people know that the nail refers to the hard plate that covers the tip of our finger or toe. However, anatomically speaking, the nail is made up of several components. The hard part that we refer to is actually the nail plate, which is essentially made up of keratin. Everything else around it including the cuticle, the surrounding folds of skin and the underlying connecting tissue or the nail bed are parts of the nail. Any nail problem can be a nuisance such as chipping, hangnail, loose nail, or ingrown nail. But one of the more serious problems is nail fungus. It is characterized by discoloured, soft, often crumbly nails that may eventually thicken or develop ridges. In some cases, the infected nail emits a foul odour due to debris that collect under the nails. It is serious because it can even spread to other parts of the body and it is potentially catastrophic for people with weak immune system such as those suffering from diabetes. The most common cause of nail fungus is type called dermatophytes which more commonly infects toenails. Another type is yeast, particularly Candida, which more often infect fingernails. 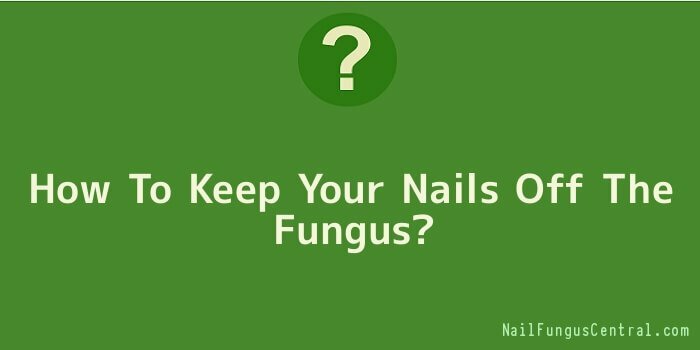 The fungus invades the nails by entering into any tiny cuts in the surrounding skin or in a break in between the nail plate and the underlying nail bed. Not everyone is at risk of infection. About 12% of Americans are found to be infected with the disease. Adults above 60 are more prone to infection. This may be because they have poor blood circulation compared to the rest of the population and they may have been more exposed to fungus over the years. In addition, their nails grow thicker more slowly, thus adding to the risk. There are many common antifungal ointments and creams that are available over-the-counter but do not effectively treat advanced cases of fungal infection. Medical practitioners may prescribe an inside-and-out approach to treatment using oral medication and topical solution. Some oral antifungal medications available on prescription are Itraconazole (Sporanox), Fluconazole (Diflucan), and Terbinafine (Lamisil). There is also a specialized lacquer for mild to moderate fungal infections. In all cases, treatment can be long drawn and oral treatment can even pose a serious threat to health. Thus, many people opt to treat the malady using homemade cures. Common alternatives include tea tree oil, vinegar, oregano oil, vapor rub, and antiseptic mouthwash. In either case, it is best to consult a doctor to determine the course of action given each person’s medical history and personal preferences. Hygiene also plays utmost importance to effective prevention and treatment. * Always keep the feet clean, dry and well-ventilated. Always wear a fresh pair of socks. You must air out the feet to keep dry once in a while. Wear shoes do not cramp the toes. Use antifungal powder for protection. * Wet public places are breeding grounds of fungus. Always remember to wash the feet thoroughly after using public showers, pools and locker rooms. * Avoid sharing personal items with anyone who has been infected with the disease. * Take extra care not to prick the skin surrounding the nails which may become potential access points of fungus. * Use gloves to keep your hands from getting too soaked in water. Dry the insides of your gloves after use.